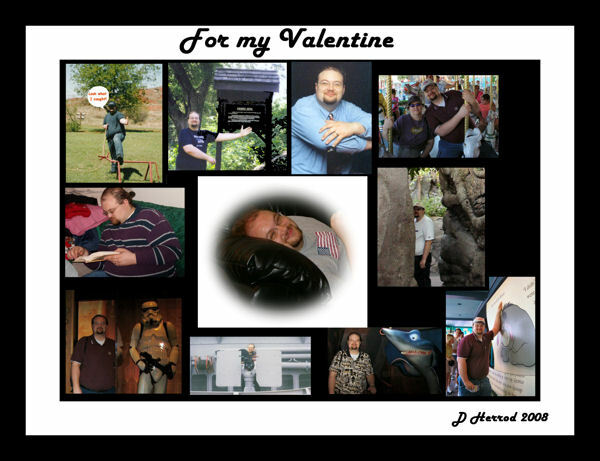 Surprisingly, the Valentine’s post I wrote a couple of years ago is still a very popular post. This year instead of posting a list of ideas or suggestions for Valentine’s Day I want to do something a little different. Instead I want to share some of the things The Big Guy has done. He has never been one of those smooth guys. Which is something I have always found appealing. I know that being romantic is not easy for the Big Guy and that makes the things he does even more special. So, I would like to highlight some of my favorite “romantic/date/valentine” type things. My absolute favorites was a surprise trip to Walt Disney World (Orlando, FL). We had planned to a quick day trip to St. Augustine complete with a picnic lunch. I had planned to fix a special lunch. However due to circumstances (which I think the Big Guy engineered) beyond my control I was unable to grocery shopping for the lunch as I had planned. On Saturday morning for some reason The Big Guy wanted to leave around 6 AM and I didn’t have time to go the store. As you might guess I was very unhappy. When we finally got in the car I was so upset that I decided to go to sleep. I did wake up at one point and mentioned that it didn’t look like the way to St. Augustine. The Big Guy said he was trying a new way and I went back to sleep. I was pleasantly surprised when The Big Guy woke me up. The year we moved to Florida, the Big Guy spent most of his time of campus. That is kind of what grad students do. So he really didn’t have a car. However, on Valentine’s day one of the clubs on campus, I think the chemistry club, sold carnations in beakers. The Big Guy bought me one. It wasn’t a big arrangement but that is still my favorite. He tried to find one the next year but I guess they weren’t selling them that year. Next Daily Post #44: Have You Ever Lied About Your Age?